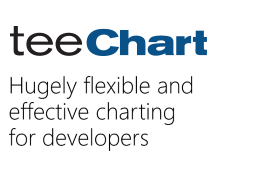 I have legacy WinForms application (Visual Studio 2010 SP1 and .NET 4.0) which uses TeeChart V2 Pro. I've tried to replace that old library with TeeChart .NET 2018 Professional 4.2018.10.1 and faced a problem. Looks like steema.teechart.net.4.2018.11.27.nupkg (downloaded from https://www.nuget.org/api/v2/package/St ... 2018.11.27) doesn't contain TeeChart.OpenGL.dll anymore. Online TeeChart documentation (http://www.teechart.net/docs/TeeChartNETReference.htm) still have information about Steema.TeeChart.Drawing.GL namespace that I use in my project (I use Steema.TeeChart.Drawing.GL.TeeOpenGL class). So how can I obtain TeeChart.OpenGL.dll? Or is there some replacement for it? This assembly is deprecated. I will consult with the team here whether it might be possible to produce a one-off build for you. what is the successor technology you suggest for today (I was using TeeOpenGL class for 3D charts)? for what reason TeeChart online documentation (http://www.teechart.net/docs/TeeChartNETReference.htm) still have information about deprecated assembly's namespaces? I will consult with the team here whether it might be possible to produce a one-off build for you. Thank you. Will be waiting for it. Please find this assembly attached. As this assembly is deprecated Steema cannot offer free support for it, although other paid options are available.